Coffee is essential to everyday life for Americans, even when on vacation. So where do you get the best java joy when away from your favorite barista? Check out these sublime drinks from resorts in the Caribbean, Mexico, and United States. A premier brand since 1885, Jamaica Blue Mountain Coffee heralds from the Blue Mountain range that stretches from Kingston to Port Antonio on Jamaica. The unique cool and misty climate of the high mountains yield the perfect conditions for coffee growth, and Blue Mountain does not seek quantity but quality coffee. The exquisitely mild flavor and smooth texture create an immediate draw, and coupled with the soft fruity taste and low caffeine content, it is one of the most widely sought-after brands in the world. More than 80% of the coffee is exported to Japan, though it is used as a flavor base for Tia Maria coffee liqueur. Closer to home, Sandals Resorts offer an exclusive flavor of Blue Mountain called Lively Up at their Sandals and Beaches properties. It has a rich, bold flavor that is heightened during the roasting process, which you can see in the video below. “Jamaican is my favorite served at all Sandals and Beaches resorts,” says Collins-Peavey. Spicy coffee? Get in the heat of Miami! 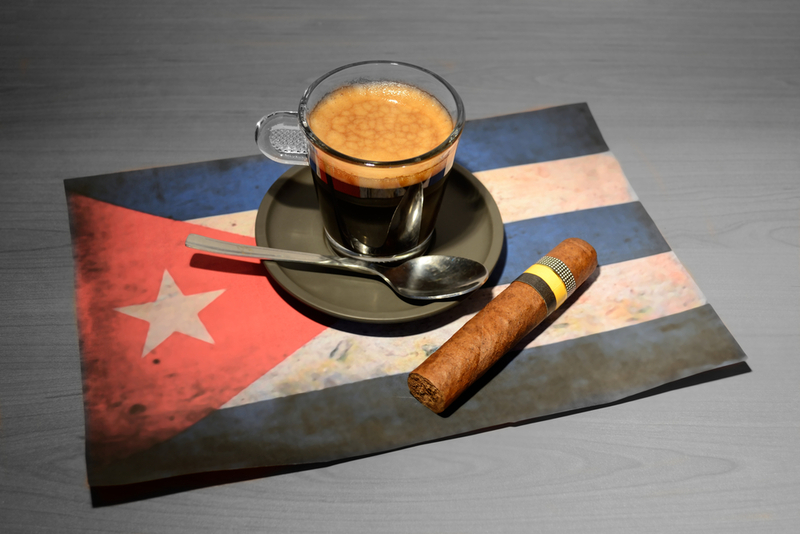 Cuban java reigns supreme in Little Havana, a section of Miami. The drink is usually made from Bustelo or Pilon, owned by Miami-based Rowland Coffee, and is distinctively known by its molasses-thickness and sweet flavor with a powerful punch. Topped with a sugar syrup called espumita, the drink is traditionally served in a thimble-sized cup or in a large cup with smaller ones for sharing, and that’s the beauty of Cuban drink. It’s a social catalyst, consumed by friends and family, and is a staple in Miami’s culture. One of the most expensive coffees in the world, Kona coffee grows on the slopes of Hualalai and Mauna Loa on the Big Island of Hawaii. To lower the price, many retails sell a “Kona blend” that is 10 percent Kona beans and 90 percent cheaper, imported beans such as Colombian or Brazilian coffee. 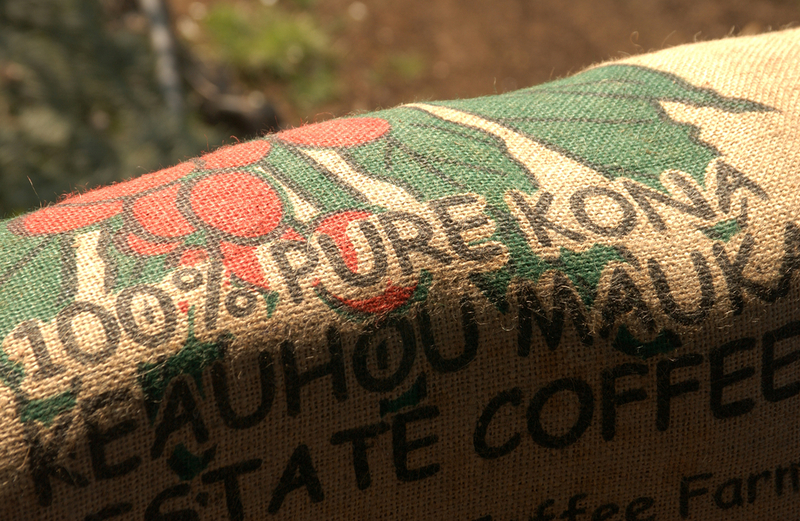 In order to drink pure Kona coffee, Hawaii laws require the words “100% Kona Coffee” be printed on the label, which is why many brands are labeled “Kona Roast” or “Kona Style.” The coffee itself boasts a smooth but mild taste with no bitterness and a rich aroma that cannot be duplicated. “Have you tried Kona or coffee raised in Kauai? What are you waiting for?” asks Felix. While Mexico is the largest source of U.S. coffee imports, Mayan coffee is more well-known as an art, a performance of sights and tastes. Many resorts have specialists who will present a lovely display of culinary art with coffee grounds, lemon, cinnamon sticks, water, and sugar (Piloncillo, a unrefined cane sugar found in Mexico). Found at many resorts in Riviera Maya and Cancun, the drink is a draw not just for the sweet, silky taste but also for the presentation, where the specialist mixes the drink at tableside. See a demonstration below! While in Mexico or during Cinco De Mayo, try Mexican Coffee the cocktail with coffee-flavored liqueur, tequila, hot coffee, and whipped cream!